Web portals | SCI Social Capital Inc.
Modelled after successful cross-sector collaborations in Salem and Lowell, the Lawrence Partnership hosted a launch party on November 21st. The 36 member board of directors, a diverse group Lawrence, MA residents, business owners, and other leaders, will work together to bring economic growth and development to the region. 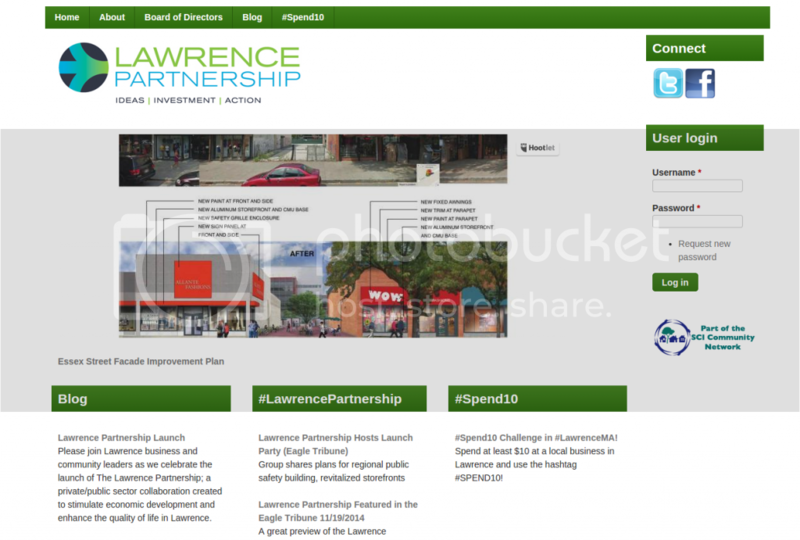 The Partnership's first initiative, announced at the launch, is the "Spend 10" campaign, which encourages those who live or work in Lawrence to spend $10 or more at a local business.